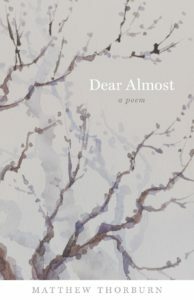 Thanks so much to Bookgirl’s Nightstand for inviting me to share a guest post as part of my Poetic Book Tour for my new book of poetry, Dear Almost. I’m excited to share some thoughts about what poetry means to me and how it has enriched my life. The painter Jasper Johns once remarked that sometimes life gets so close we can’t see it anymore. That’s a thought I keep coming back to, as my own daily life gets more and more busy with all I want to do and need to do—as a husband, a dad, a son, a writer, and a full-time employee in Corporate America. Writing poems—and reading them—is a way of taking a step back to try to understand and appreciate life. (It isn’t always successful, but it is a way of trying.) Think about another painter: if you stand too close to Seurat’s A Sunday Afternoon on the Island of La Grande Jatte, the image blurs into clouds of colors and vague shapes: all those tiny dots of paint. But take a few steps back and the scene snaps into focus. Writing and reading are like that too. In a poem I once called this “the grace of distance”—something I strive for, with mixed results, in my own life. Nowadays, we might just call it “going into the zone” or “losing yourself” in your writing. In my pre-parenting days, I could easily let a few hours slip by as I happily worked on a poem: draft some new lines, cross out a few words and pencil in better ones, come up with a new image or metaphor, read the whole thing aloud to see how it sounds, and repeat. Of course as life gets busier, things change. But a person who wants to write finds a way to write. My new book, Dear Almost, is a single book-length poem. As I was writing and revising it, I carried a print-out of the manuscript with me to the office each day in my briefcase, so I could work on revisions on my subway commute—at the risk of missing my stop when my own self-forgetful concentration kicked in—or during my lunch hours, when I’d sit on a public plaza along Park Avenue with my poem and my lunch. In my previous job, I occasionally had to travel up to Boston for work. This meant four hours in the Amtrak Quiet Car (each way!) to sit and work on poems as the landscape scrolled by. That was my mini writer’s retreat, and I loved it. Along with helping us see life more clearly, though, writing can also be a temporary escape from life—a place of shelter. Dear Almost tells the story of a year of grief and mourning after my wife and I experienced a miscarriage. Writing this book helped me find words for the helplessness and overwhelming sadness I felt following the loss of this life-in-the-making—both that tiny person just starting to take shape and the life the three of us would have shared. Putting my feelings into words helped me cope with our loss. Writing Dear Almost was my way of holding onto and honoring what I felt—and of holding onto our “almost girl” a little while longer in the only way I could: in words. The book is like a letter, written to her. That’s what I look for in poems—and what I try to convey through my own writing. Poems enable us to hold onto joy as well as sorrow (and all the feelings in between), to remember and re-imagine our day-to-day lives. Poems help us take a step back from life so we can see it more clearly. They give us respite, shelter, even if just for a little while. They refresh us, before we dive back into the hurried blur of our everyday lives. Thank you to Matthew for this insightful post and to Poetic Book Tours for making this guest post happen. In addition I have one copy of Dear Almost for a giveaway (U.S./Canadian addresses only). 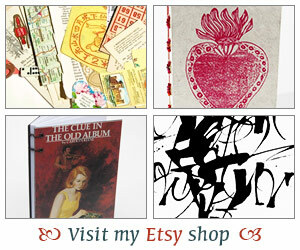 So please leave me a comment and I’ll draw a winner in a week! Thanks, Iliana, for being on the blog tour. I hope you pick up a copy of Dear Almost. This moving collection is winning hearts. Thanks so much, Iliana, for the chance to share this guest post! Matthew, so sorry for your loss. I admire how you’ve found solace by making this world of words.